Arrive in New Ulm for a complimentary welcome reception of coffee and apple strudel at the Visitor Center. Meet your tour guide here (many wear lederhosen/dirndls) and begin 2-hour guided city tour. 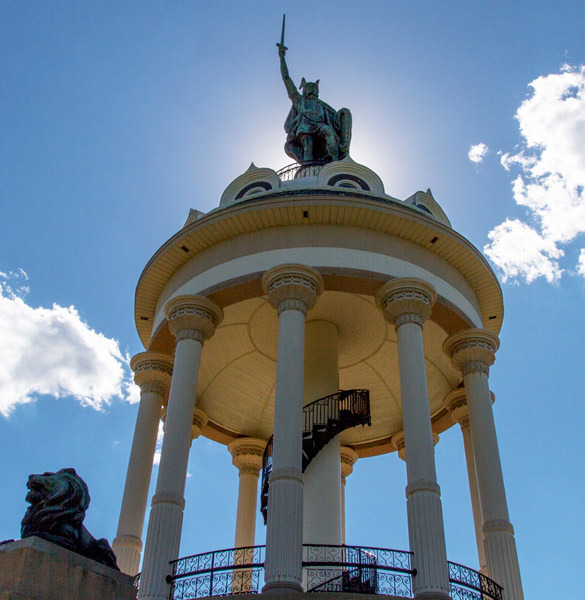 With your step-on guide, you’ll see such sites as the Hermann Monument, the Cathedral, sites from the US-Dakota War of 1862, sites related to New Ulm’s strong German heritage, and other places as time allows. Glockenspiel performance of 37 bells and 12 characters. Great photo op! End guided tour. 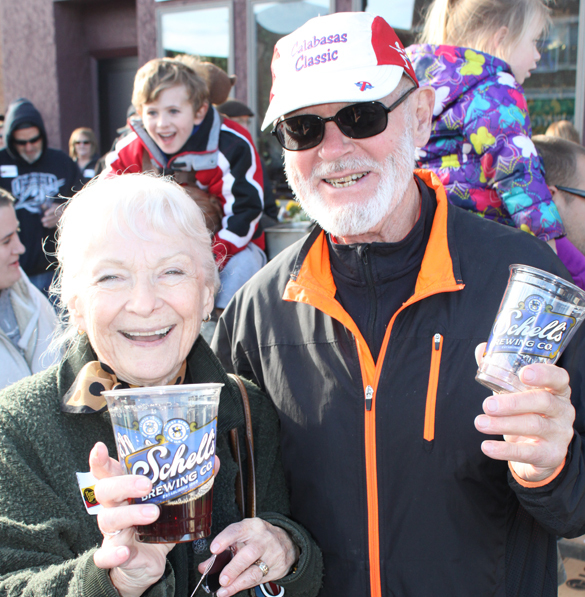 Walk 1 block to Veigel’s Kaiserhoff for some delicious German (or American) food as a group. Or, lunch on their own! There are more than a dozen options for dining in the downtown area. After lunch, check out some of the specialty shops and unique boutiques and wander through the historic downtown. Shopping not your thing? 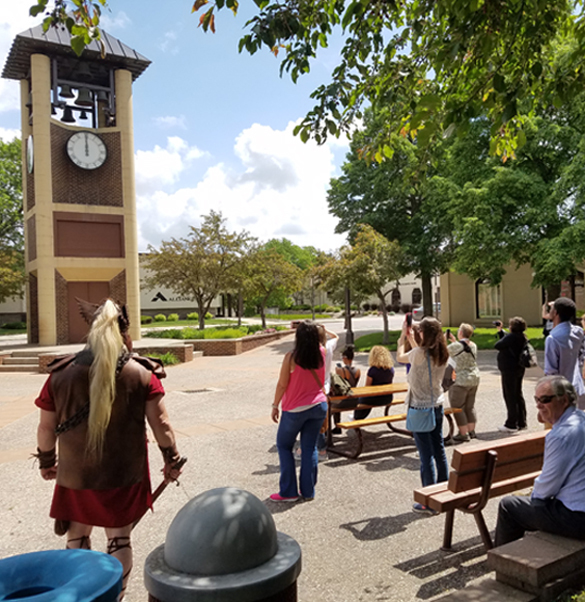 Tour the Brown County History Museum, the Minnesota Music Hall of Fame, or the 4 Pillars Art Gallery - all within walking distance of downtown, or grab a self-guided Downtown Walking Tour brochure and dig a bit deeper into the downtown’s story. 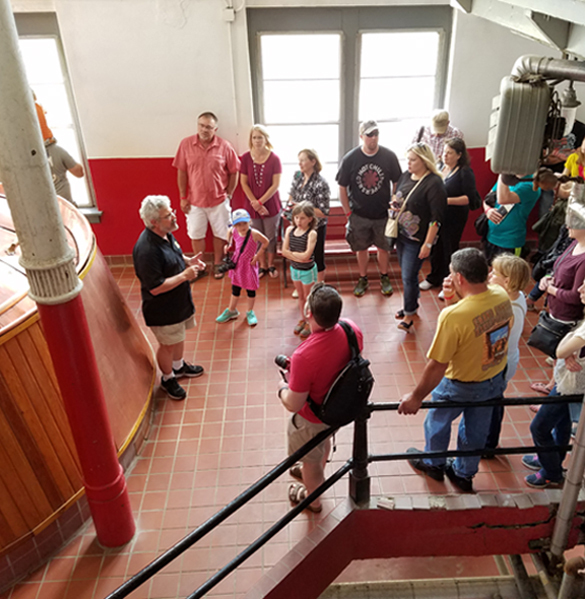 Meet your motor coach back at the Visitor Center and depart for August Schell Brewery, the largest and oldest brewery in MN, for a tour and tasting. Leave a little time to visit the gardens (with free-roaming peacocks and a deer park), the Museum of Brewing, and the gift shop. Check into your hotel (New Ulm has three group-friendly options: Best Western Plus, Microtel, or Econolodge). Then dinner at the New Ulm Conference Center/Green Mill - attached to the Best Western Plus. Entertainment options with dinner include: Murder Mystery customized to your group, concertina/accordion performance, The Narren (German characters in hand-carved wooden masks and colorful costumes), the Concord Singers, or have a group take Polka Lessons! After enjoying continental breakfast at your hotel, load the bus and head to Harkin General Store. Learn about life in 1870 from the old general store on the Minnesota River - with 40% original stock! Guided tour. These three floors of exhibits are housed in the historic post-office building. Don’t miss the third floor’s national award-winning exhibit about the U.S.-Dakota War of 1862. Enjoy lunch at historic Turner Hall, the oldest bar in Minnesota! See the 1873 German murals in the Rathskeller and enjoy a delicious meal while learning more about the fascinating history of the Turners in New Ulm. Hand-held listening devices assist you on this self-guided tour as you take in all genres of music important to Minnesota’s history, including: Whoopee John, Judy Garland, Bob Dylan, Prince, and many more!